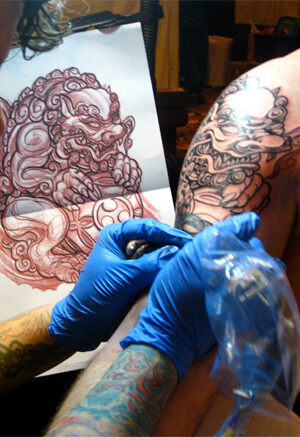 Originating in traditional Eastern culture, Chinese tattoos have become popular in the Western world due to the powerful symbolism behind the unique designs. These tattoos relate to the mythical flora and fauna of Chinese folklore, and the symbols often represent a cherished cultural value. A couple of the designs are related to Buddhism, a prominent faith in China. 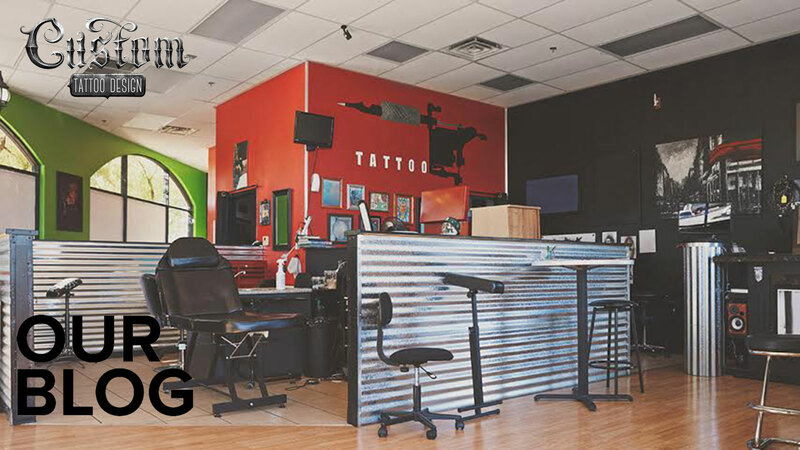 If you’re interested in learning more about Chinese tattoo meanings, check out our list below! 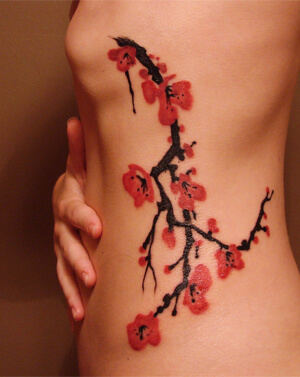 Cherry Blossom: an ode to Spring, the cherry blossom represents beauty, elegance, and the fragility of life. 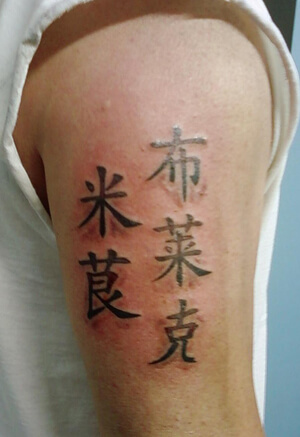 Chinese Character: a popular choice amongst Chinese tattoos, the single Chinese character is a simple design which represents a concept or value, like enlightenment, peace, or wisdom. Chinese Dragon: the Chinese dragon is a serpent-like, ancient design which symbolizes wisdom, strength, and good fortune. Chop Seal: the ‘chop’ is a customizable red seal. This eye-catching design is modeled after the kind of seals used in China to sign important documents. 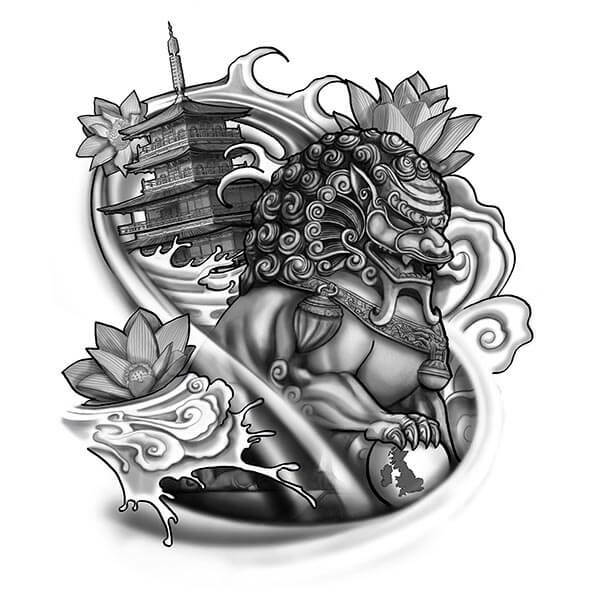 Foo Dog: known as ‘shizi’ in Chinese, the foo dog is a lion-like, mythical creature, popular in Chinese folklore. These designs were intended to scare away evil spirits, and thought to bring good fortune. 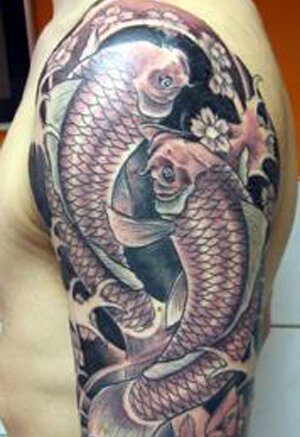 Koi Fish: the koi fish symbolizes persistence and growth, because the koi fish were said to swim upstream until they reached a special gate, at which point they would transform into a powerful dragon. These tattoo designs are also popular in Japan. 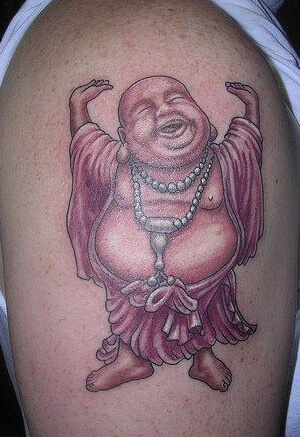 Laughing Buddha: originating in Chinese Buddhism, the image of the laughing Buddha is a reminder to live life to the fullest, and to experience joy and cheer. 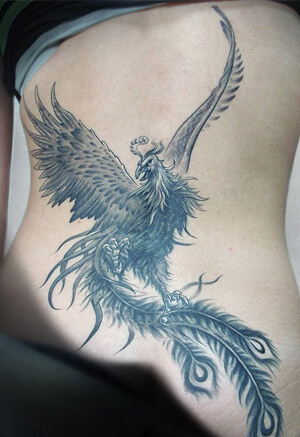 Phoenix: known as feng huang in Chinese, the phoenix is a mythical bird that signifies peace, prosperity, and rebirth. Yin and Yang: this simple symbol also has its origins in Chinese Buddhism, which dates back to the Han dynasty in China. 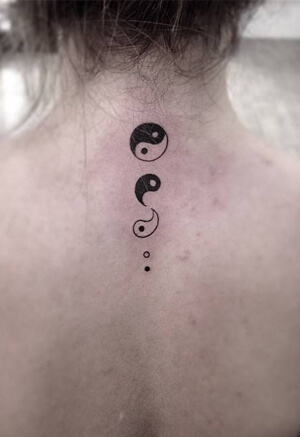 This black and white symbol represents the interconnectedness of opposites or complementarity. Many Chinese tattoos are mythical designs, representing real world principles that are central to our lives. Though we don’t see phoenixes or dragons in nature, we can understand the importance of peace, wisdom, and strength. 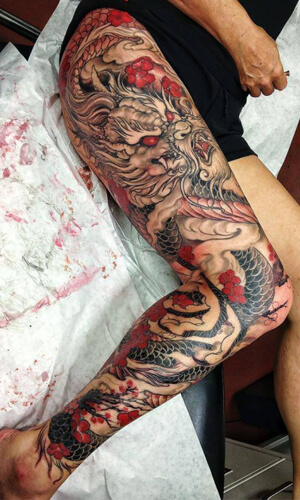 If you know of any other interesting Chinese tattoo designs, let us know about them in the comment section below!